Lomé, Togo. The Secretary General of the Togolese Ministry of Livestock, Agriculture and Water Management, Mrs. Bali NEME, welcomed on Monday in Lomé the implementation of a Regional steering, monitoring and inclusive dialogue committee (RSMC) as part of the implementation of an Alliance for Seed Industry in West Africa (ASIWA). Mrs. NEME, who chaired the opening of ASIWA’s CROSDI meeting in the Togolese capital, stated that “setting up a committee (RSMC) is more than a necessity” before welcoming the constant and ongoing efforts of CORAF / WECARD in strengthening agricultural research in West and Central Africa region. “I express my deep gratitude to CORAF/WECARD for its many actions towards the agricultural research sector,” said the representative of the Togolese Minister of Livestock, Agriculture and Hydraulics in her address. Speaking on the current dynamics of the region in agricultural promotion, she mentioned the numerous actions of her government, by saying that “the production of certified seed has increased from 700 tons in 2010 to 2000 tons” in five years. Several other interventions, including those of the ECOWAS Commissioner for Agriculture, Tchambakou AYASSOR, praised , among other things, the efforts of the WASP which increased and made more accessible the production and use of certified seeds. They went from beingestimated at 12% in 2012 to 25% in 2016, as well as the harmonization of the regional seed regulation and the elaboration of a regional catalog and the creation of a regional alliance for a seed industry. Many other participants also mentioned these results before wishing the “operationalization of RSMCI” and “taking into account fertilizerissues” in this regional dynamic. The RSMC is a committee comprising 21 persons, including 17 statutory members and 4 observers. It was created as part of ASIWA mission. Its main purpose being to facilitate the definition and implementation of the Alliance’s strategic orientation through inclusive and consensual dialogue and to facilitate the structural and operational adjustments necessary for effective achievement of its objectives. 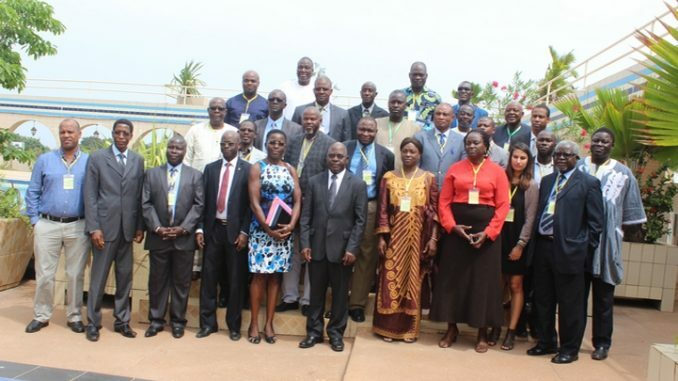 According to the concept note of the Lomé workshop, ‘’it is important to assure that the representatives of the different member organizations (of the RSMC) are formally designated and meet to finalize their work and draw up an action plan’’. The effective start-up of the RSMC activities would make it possible to consolidate efforts at the level of the already functioning national platforms and to stimulate a real regional dynamic ” for the seed industry. At the end of the two-day meeting (20-21 March 2017), the RSMC will be “effectively established and will have operational and planning tools for the efficient execution of its mandate”.